The Scrubs For Them Online Shop is now open! Order now and get Free Shipping on orders over $100! 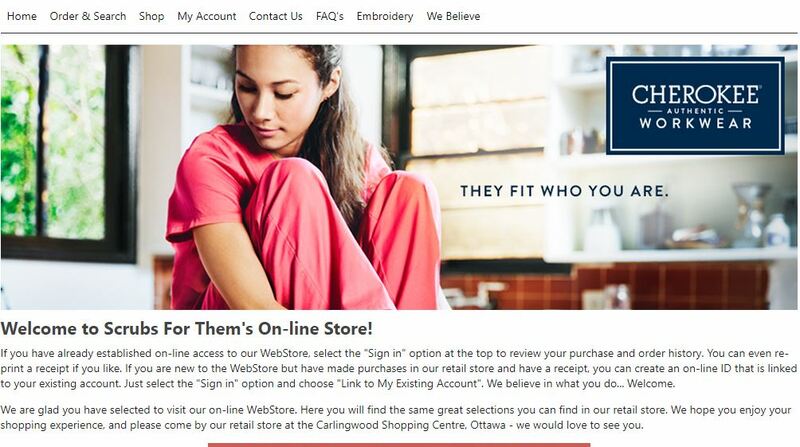 Browse through your favourite brands from Barco/Grey’s Anatomy Scrubs to White Cross Uniforms and departments from Chef Works Chefwear to Stethoscopes! Here you will find the same great selections you can find in our retail store. We also have occasional Group Sales! Browse now our Special Sales, Christmas/Winter Prints, and Mens Department! We hope you enjoy your shopping experience. Please contact us if you have any questions. Thank you! Click to view the new website!